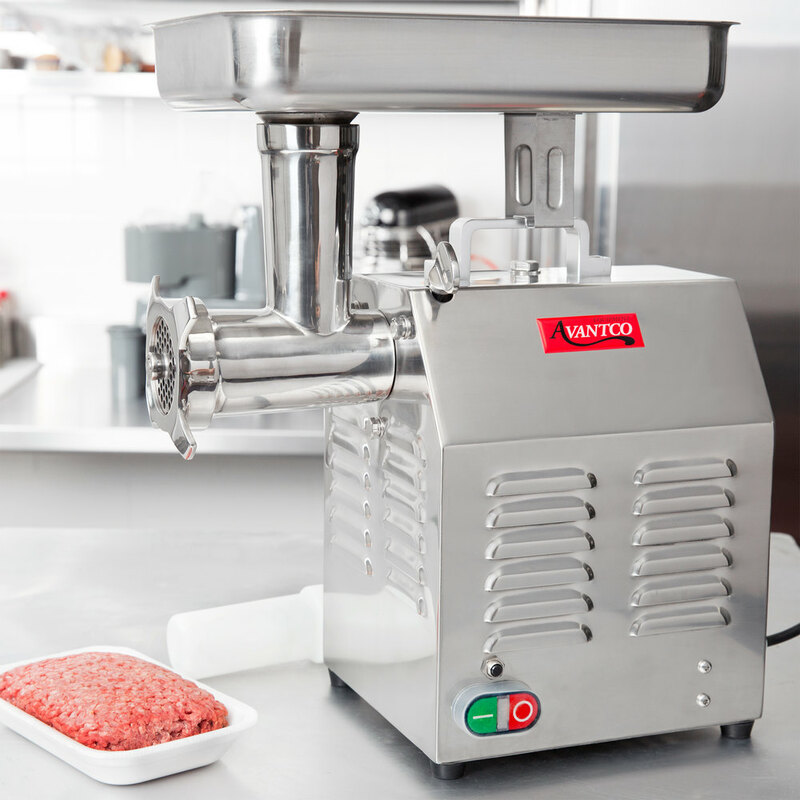 Create ground beef, sausage, wild game, and other high-demand, delicious foods with the Avantco MG12 #12 1 hp meat grinder! 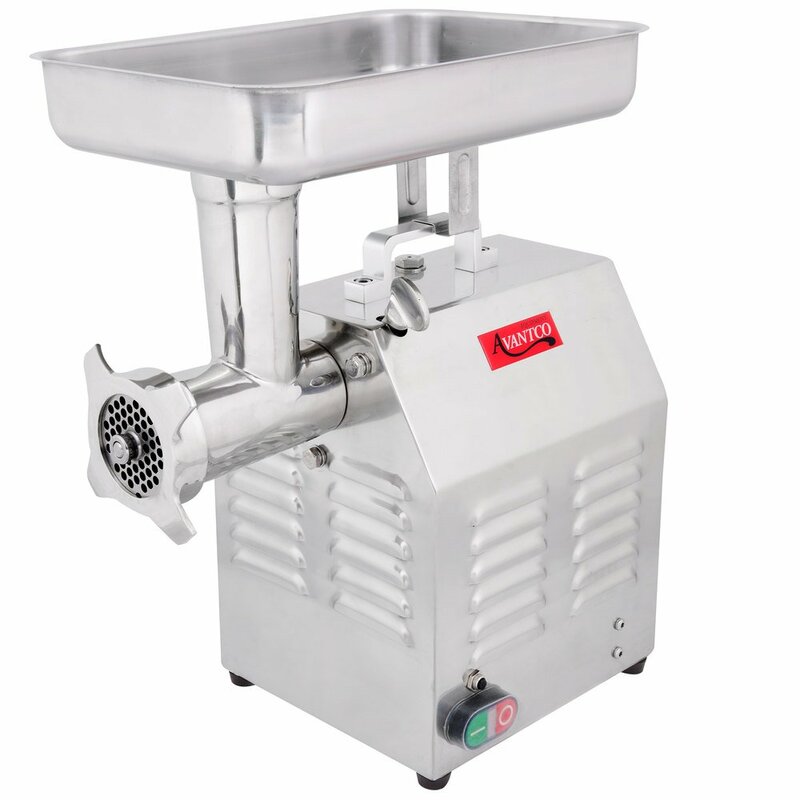 This meat grinder features a gear-driven body for outstanding processing of up to 260 lb. 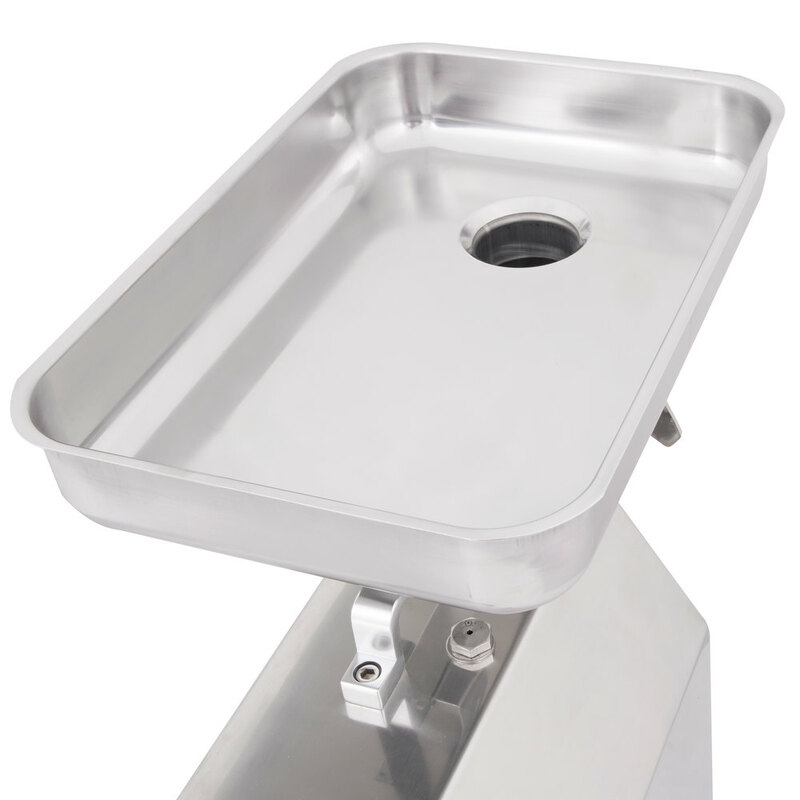 of meat per hour, while its stainless steel exterior lets it stand up to the rigors of every-day use. 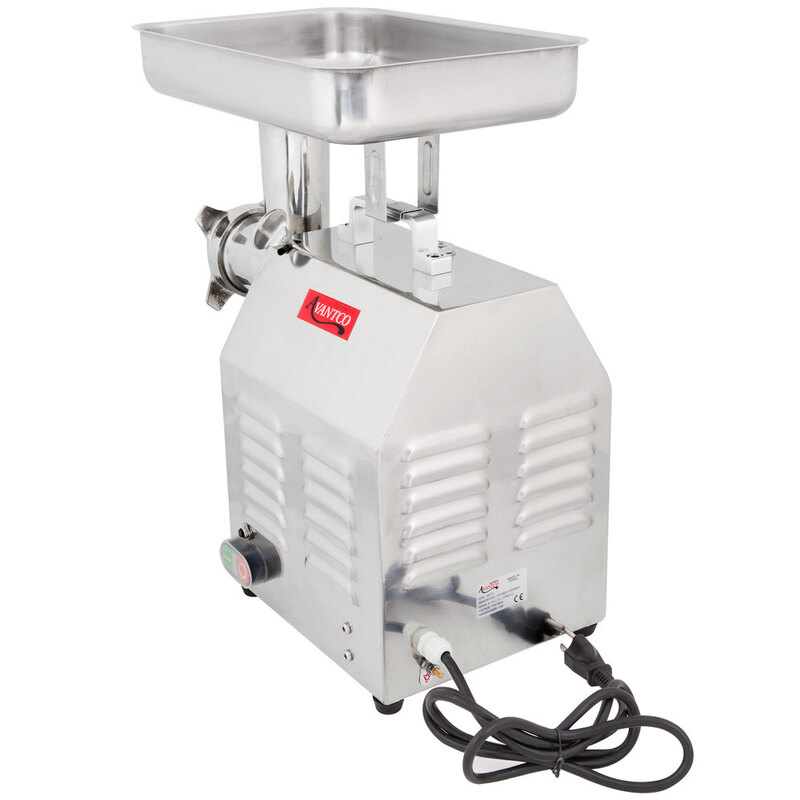 Its powerful 1 hp motor lets it automatically grind your most popular meats, and a convenient handle is attached to the top of the unit for easy transportation. 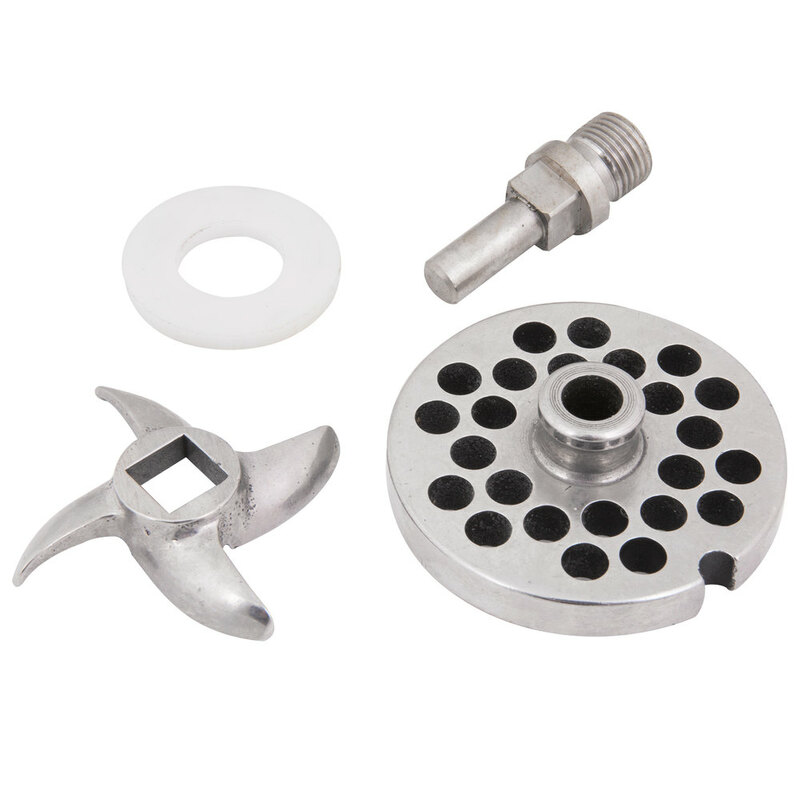 For convenience and versatility, a replacement knife, plastic pusher, gasket, sausage stuffer tube, stainless steel meat tray, 1/4" grinder plate, and 5/16" grinder plate are all included so you can successfully break down almost any meat you need. This mid size grinder has worked very well for me in my little diner. We grind burger and sausage twice a week for the last two and half years. Good Buy. Good for the price. No problems. Not a perfect grind, and did not like the stuffer, but works for what we need. Will order again when needed. Very good and helpful! Grinded meat very quick, strong and very durable! Save lot of time from using this machine! Will recommended this to other for sure! This is a great grinder. It has worked well for our charcuterie program, which is mostly terrines and sausages. The only small drawback is that it is extremely heavy. What a great asset!! Pays for its self the first time you do not have to buy a case of ground beef. I would recommend getting some spare Washers (MG12) to have on hand. We love this grinder. It grinds as fast as you can feed it and does not seem to strain at all. Even deer meat does not have to have all the silver removed. I highly recommend this grinder. I purchased this grinder as an upgrade from a locally bought smaller unit that just couldn't keep up with deer processing duty. What an upgrade! We were finally able to use it once our schedule settled down and processed about 35lbs of meat in what seemed like a couple minutes time. Cleanup was easy and the included plate sizes were perfect for the pepparjack-wurst sausage that we like to make. Excited to see how it performs next season with hopefully putting it through more of a workout. It is easy to tell this unit was made for the long haul with how heavy it is and the beautiful construction of the components. Includes a couple spare parts as well. We purchased the Avantco MG12 grinder last year to replace a very old Hobart unit. I have been pleasantly surprised in how the Avantco keeps up with our grinding needs. Needed to get a good heavy duty meat grinder at a reasonable price. No need to look further this unit is a great unit for any small hunter or deli or food establishment that wants to grind there own meat . The item has been great for my business. We have used it for all types of events and the food stays warm for hours while traveling to customer locations. The MG12 makes processing meats unbelievably easy. I've never used a machine that was so easy to use. Calling this grinder "Heavy Duty" doesn't do it justice, the weight of the machine alone confirms that this is a commercial grinder. I will definitely be recommending this grinder to anyone looking for a serious meat grinder. As far as appliances go, this is the best purchase I've ever made. This grinder has done a marvelous job for us. We mostly use it to convert the remnants of sliced brisket into chopped beef for sandwiches, but on a substantial scale. The grinder is very sturdy--the only complaint being that the input tray moves around some. That can be solved by clamping it to the carrying handle. 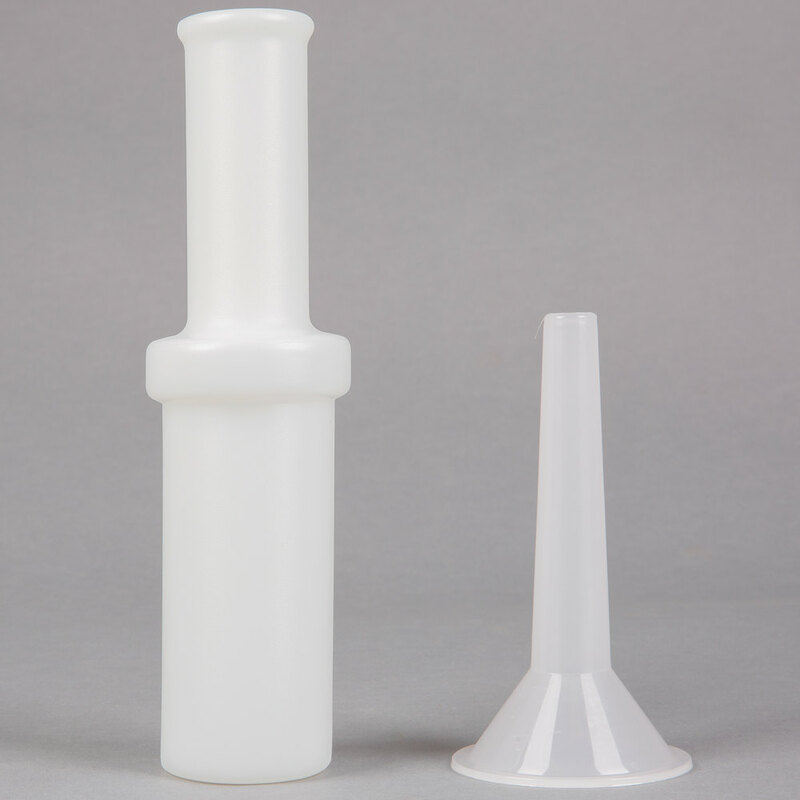 I bought a grease tubes along with the grinder and add grease into the port before every use. Take the work out of meat grinding with this superb grinder from avantco. Easy to maintain. There really is nothing like being able to use a meat grinder that you don't have to grind yourself. It is very easy to use and a very reasonable price. 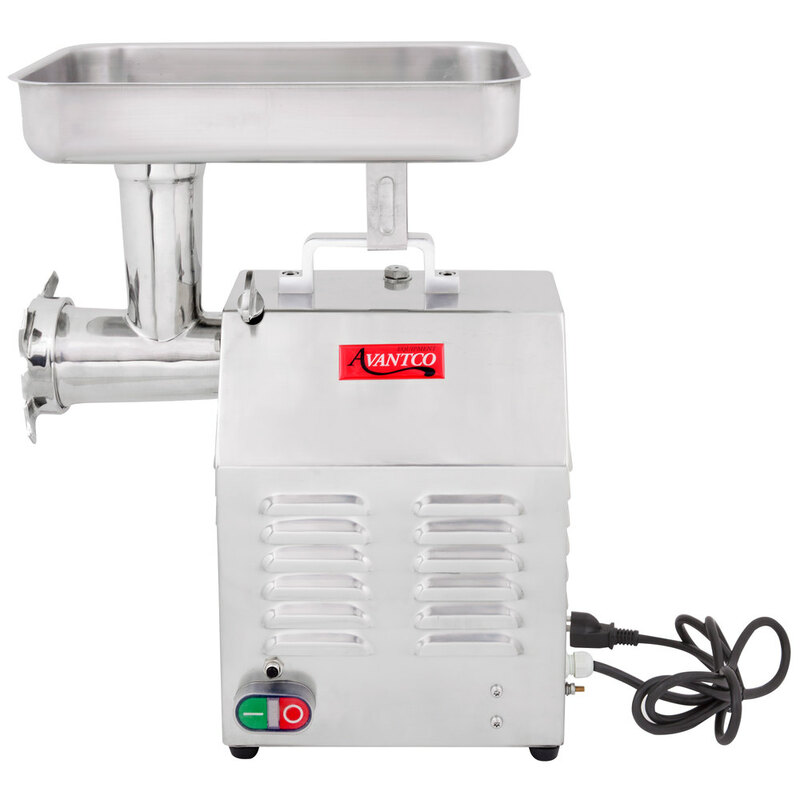 This is a great heavy duty meat grinder! It works best when you store all the lose parts in the freezer before hand to keep the meat as cold as possible when grinding! !